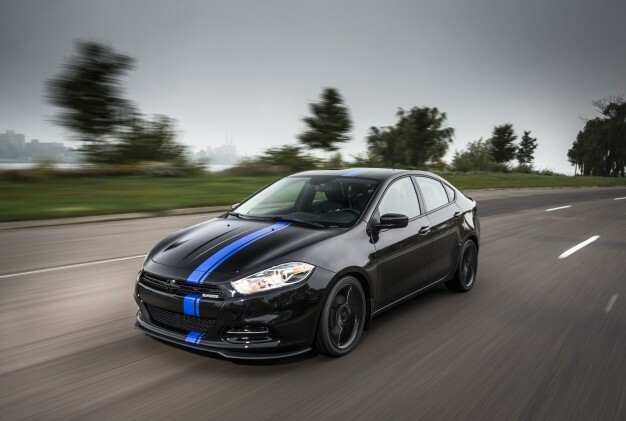 Dodge has announced another fun limited edition vehicle from Chrysler: the limited edition 2013 Dodge Dart Mopar '13. Only 500 Mopar '13s will be made. It's very similar to the standard Dodge Dart, but with fun upgrades like Pitch Black Paint, a sport-tuned exhaust, 18-inch black glossy wheels a 1.4-liter turbocharged engin that will get you up to 160 horsepower. This Dodge packs a punch. We've got tons of 2013 Dodge Darts in-stock at Uftring Chrysler Dodge Jeep and Ram in Pekin. Check out our inventory online or stop by for a test drive today.